Abstract: This article addresses the importance of the development of cognitive skill or ‘thinking ability’ as a means of advancing your career and improving your decision-making ability. 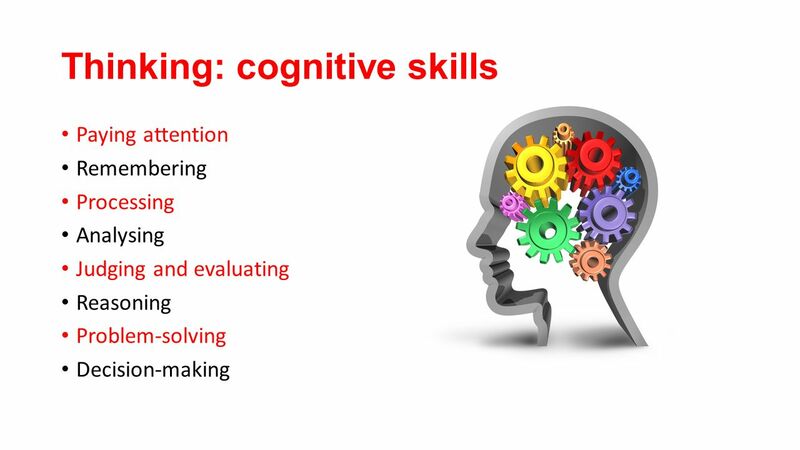 Throughout my blog, I have argued time and again that the development and practice of cognitive ability is one of the key enablers or detractors of personal and organizational performance. I have encouraged my readers to focus on improving their cognitive skills as a means of empowering improved decision-making capabilities. When I was in undergraduate business school, students were required to subscribe to and read the Wall Street Journal on a daily basis. That assignment started a discipline that has endured through my career. One of the many reasons that I read the Wall Street Journal daily is that its healthcare industry coverage is as good as any. In addition, The Wall Street Journal is intellectually stimulating. For example, one of the things that has been shown to improve cognitive ability is vocabulary study. Rarely a day goes by that I do not see at least one word in the journal that I cannot define. I look these words up and record their definition. When I find myself with nothing to do, I get my list out. More often than not, these words are found on the Journal’s editorial pages that are written by some of the smartest people alive. My article on career development has been very popular. I am honored and humbled by the number of people following my work that are genuinely interested in developing their careers and advancing in organizations. The comments, feedback, and suggestions this article stimulated have been inspiring to me and motivate me to find suggestions and recommendations that will be helpful to my readers. Many of us know and are motivated by the stimulation that comes from affirmation. In my article on career advancement, I argue for the development of cognitive ability as a means of building a foundation from which you may advance your career. One of the things that fascinate me about universities and the people that work there is that regardless of the subject, how arcane or trivial it may seem to be, there is a professor at some university somewhere that is an expert on the subject. We are so blessed and our society and life is so enriched to have these geniuses among us. An article that appeared in the Wall Street Journal on June 5, 2017, is a very good example of what I’m talking about. This article confirms my theory that the development of cognitive ability is a critical success factor when it comes to roles and responsibilities requiring the incumbent to be able to do their own thinking. I had no idea that for many years this very characteristic has been under study. Not only that, there is a ranking of the degree to which various university programs are or are not successful in developing cognitive skills among their students. It is very sad and some may argue disingenuously that these data are not readily available to people considering one academic program over another. So I’m vindicated. The admonition of this is that all of us can benefit from a focus on continuous cognitive ability improvement. So what are you waiting for? How much more evidence do you need to be convinced that among the highest and best uses of your time is an investment in yourself? The easiest way to keep abreast of this blog is to become a follower. You will be notified of all updates as they occur. To become a follower, just click the “Following” link that usually appears as a bubble near the bottom of this web page. Previous Examples of what not to do – simple mistakes you have seen that others could avoid. AKA – How many ways can you get yourself into trouble? Critical thinking skills can be generated by just about everything we do. Something as simple as reading a recipe or more in depth by taking classes to further knowledge. I consider myself to be a “life long learner”. I don’t always go into an activity thinking I am going to elevate my critical thinking skills. For learning to have meaning we must draw something from our past experiences. The smallest of things can make meaning to offer insight into an epiphany or furthering our higher order thinking skills which I think includes critical thinking skills and problem solving skills. It doesn’t have to be grandiose. It just has to be. •	Suspending judgment to check the validity of a proposition or action. •	Taking into consideration multiple perspectives. •	Examining implications and consequences of a belief or action. •	Using reason and evidence to resolve disagreements.